The Occupational Health Serivces LLC staff (formerly Chiropractic Center) looks forward to working with you, as we strive to provide you the best chiropractic and occupational health services in Garden City, Finney County and Western Kansas. Chiropractic care is unique in the health care industry, as we approach your physical problem with hands-on physical treatment. Drugs and surgery are always options, but they should be your last choice. At your first visit to Occupational Health Serivces LLC, Dr. Jerome Greene will explain the science behind chiropractic care. A full health evaluation will be done to determine if chiropractic care can help you. If there is a good fit, we can develop a plan of chiropractic care that is specific to your condition and health goals. If you are looking for a Chiropractor in Garden City/Western Kansas, or are new to seeing a chiropractor and want learn more, please email us or call 620-276-8284 to receive personalized answers to your questions. 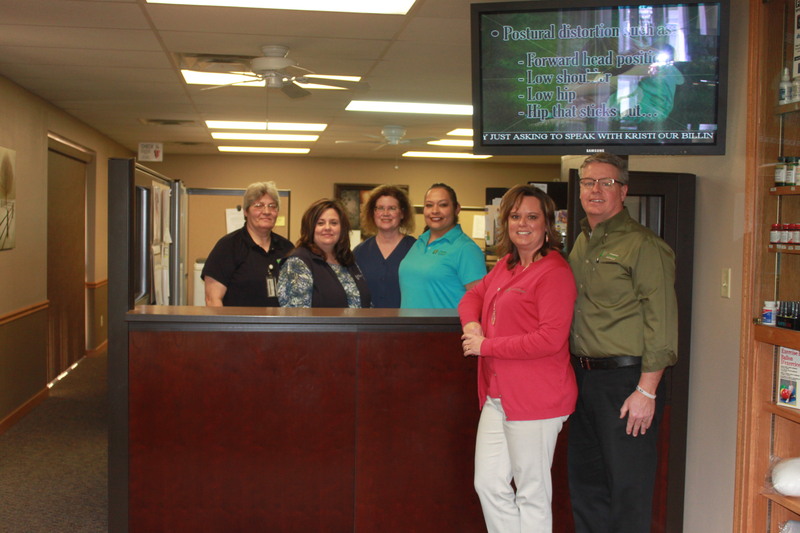 Our friendly staff will be happy to answer any concerns or questions you may have. We also welcome referrals, use the "Send to a Friend" link located at the bottom of every page to share our health information with your friends and family. If you would like to stay informed about modern chiropractic care by receiving free articles about health and wellness news, please subscribe to our bi-weekly newsletter. Once subscribed, you will be able to explore our member wellness section and take advantage of out animated exercise videos, wellness articles, and other resources. "“As a Garden City High School athlete I’ve found chiropractic care essential to my success in sports. I depend on Dr. Greene for various treatments such as; weekly adjustments, muscle stim and annual physicals to keep me going through the sports seasons.”"